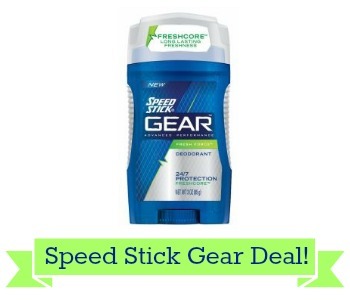 Check out this deal at CVS starting 7/24 on Speed Stick Gear Deodorant. Be on the lookout for a B1G1 coupon in your 7/24 Smart Source to get deodorant for 75¢. –like getting it for $1.50 or 75¢ ea.